On a Friday morning, in a quiet subdivision in Kauai’s Wailua Homesteads, after a sleepless night of watching two newborns, Amy Klotz and Becky Geelhood are preparing for their next feeding. They’re not preparing baby formula, though. In the kitchen, Klotz picks up a tub of bee larvae donated by a local apiarist and pulls out the crunchy, less tasty bits. When she’s done, she carries the miniature snacks to the nursery. Inside a small room at the back of the house, two white-and-brown-speckled eggs, weighing only 1.5 grams each, rotate slowly in an incubator. Across the room, their bald, blind, and recently hatched kin doze in brooders. These tiny birds are akikikis (Oreomystis bairdi), members of the Hawaiian honeycreeper family. Although these newborns don’t look like much now, it wouldn’t be a stretch to say the entire akikiki species depends on their survival. 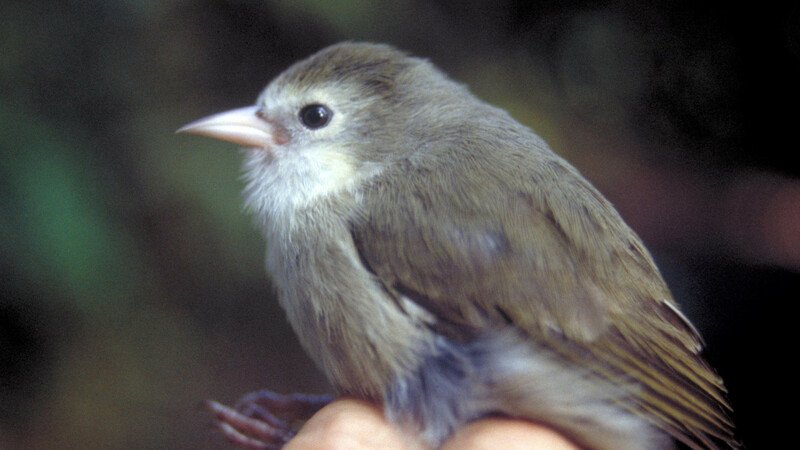 Akikiki are one of six remaining endemic forest bird species of Kauai. Once found from the island’s shoreline to lush mountaintops, today fewer than 500 akikiki remain, relegated to high-elevation forests. Hawaii’s elusive forest birds have been decimated since man first arrived on the island roughly 1,500 years ago, destroying habitat, introducing weeds, and bringing predators, such as cats and rats, and disease vectors, like mosquitoes. Until recently, mosquitoes were limited to lower, warmer elevations. But climate change has brought warmer temperatures higher up Hawaii’s mountains, allowing mosquitoes to spread over the entire island and transmit fatal avian malaria and avian pox to the remaining wild bird populations. Twelve forest bird species have already gone extinct on Kauai, and in 2010, akikiki were federally listed as critically endangered, along with their honeycreeper relative, the akeke’e (Loxops caeruleirostris). Following four years of behavioral research, the Kauai Forest Bird Recovery Project partnered with the U.S. Fish and Wildlife Service and San Diego Zoo Global in 2015 to begin building up captive populations in hopes of saving the two species as insurance against the possibility of extinction in the wild. To date, 40 akikiki and seven akeke’e live in the project’s facilities. Yet as these populations grow, so too do threats in the wild. Every spring, teams of three to four people hike into the dense Ohi’a forests of Kauai’s Alaka’i Plateau, where they’ll stay for days at a time, weathering torrential downpours. An akikiki nest takes between 40 and 60 hours to find, explains Cali Crampton, leader of the Recovery Project, though they tend to nest in the same areas year after year. An akeke’e nest, on the other hand, takes about 100 hours to find, as the parents move around and nest high up in the canopy. Once a nest is located, reinforcements will hike and helicopter in, 40-foot ladders in tow, to climb the trees and collect the eggs shortly before they’re about to hatch. Those eggs will be swiftly flown out to the nursery near Kapa’a before they’re transferred to a larger facility on Maui or the Big Island. When the birds reach breeding age, they’ll produce children that will form the majority of the captive population to one day be released into the wild. But the mosquito threat looms large over Hawaii. That’s why researchers at the University of Hawaii are working rapidly, in tandem, to deploy a form of mosquito “birth control” that could greatly reduce the invasive mosquito population. At the International Union for Conservation of Nature (IUCN) meeting in Honolulu last year, scientists from around the world met to discuss the mosquito issue and what could be done. “One of the outcomes was that people were excited about wolbachia,” says Jolene Sutton, who co-leads the university’s mosquito research. Wolbachia are intracellular bacteria that naturally occur in mosquitoes and fruit flies. However, if a female and male mosquito mate, each carrying a different strain of wolbachia, the resulting eggs will be infertile. By removing the natural strain of wolbachia found in male mosquitoes and replacing it with the strain from fruit flies, scientists think it may be possible to reduce the wild mosquito population. A similar approach is being studied elsewhere to control the transmission of human diseases such as Zika. With funding from Hawaii’s Department of Land and Natural Resources, Sutton and her colleagues began studying how to deploy fruit fly wolbachia in lab colonies. Down the road, Sutton says, they hope to infect a new population in a mass-rearing facility with that wolbachia strain, which could then be deployed to the wild. There’s no clear timeline as to when the akikiki and akeke’e’s habitat will be mosquito-free enough for the reintroduction of the captive birds. It could be five years. It could be 10. Even if wolbachia deployment is successful on a large scale, the regulatory process to ensure there are no unforeseen side-effects to the environment will be a long one. And it’s unclear how much time the captive birds have. Meanwhile, two new threats loom on the horizon. The first threat affects the birds’ habitat. Akikiki and akeke’e nest exclusively in Ohi’a trees (Metrosideros polymorpha), a species of flowering evergreens endemic to the Hawaiian Islands. In 2015, a new fungal disease began attacking and killing the trees on the Big Island, with most dying in only a few days or weeks. By 2017, hundreds of thousands of trees had succumbed to the disease, dubbed “Rapid Ohi’a Death.” While the state has been able to contain the disease to the Big Island thus far through strict screening, scientists worry about how long containment will last. “It’s terrifying to think that we could lose Ohi’a,” says Michelle Clark, a Fish and Wildlife Service conservation biologist working with the recovery project on Kauai. The second threat is much more banal: lack of money. This year marks the last year of funded egg collection — although the project’s partners are hopeful that new grants will still come through for 2018. With only seven akeke’e in captivity, the project has fallen far short of their goal of 60 individuals, but Michelle Clark, a federal conservation biologist working with the recovery project says she “wouldn’t call the akeke’e a lost cause.” The Hawaiian crow nearly went extinct, and captive breeding started with just 11 individuals, she points out. Today the species numbers more than 100. “It’s still a concern, but I feel like we have a little more time because there are at least twice as many akeke’e in the wild than akikiki,” says Clark. After all, until mosquitoes are controlled and the birds’ habitat is protected from predators, the 47 captive akikiki and akeke’e will be waiting in the wings. © Gloria Dickie. All rights reserved. is a freelance science and environmental journalist. She specializes in biodiversity conservation, climate change, and environmental law and policy. 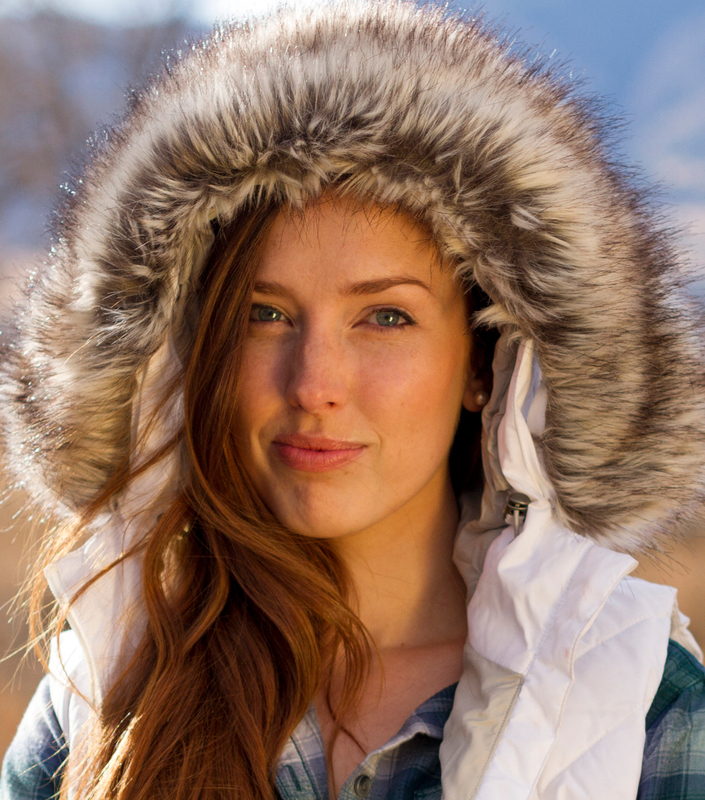 Her work appears in National Geographic News, bioGraphic, Mongabay, High Country News, VICE, Hakai and Quartz, among others. She also serves on the board of directors of the Society of Environmental Journalists.